PAX Prime 2011 kicks off on Friday and with it comes a chance for every day gamers to check out oodles of new games, games like Skyrim and Rage. 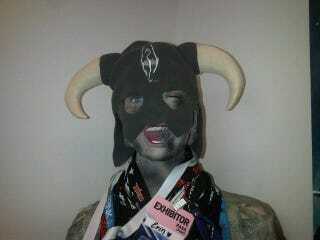 Bethesda tells us that their booth (1314) will include playable Rage, Skyrim as well as hourly Prey 2 presentations. Bathesda will also be putting on a Skyrim presentation at 3:30 p.m. on Saturday in the Unicorn theater. Anyone who attends the demo will receive a ticket for a Skyrim plush helmet. You can also visit the Skyrim food truck to grab a helmet or some amazing free food like Dragon Leg, Whiterun Corn and Solitude Sweetroll. Dammit! Free food!! That's my favorite kind.